Hi, I wanted to know if the Tambotie ribg comes in different sizes. Specifically M and a half. Hi I need the ring in Y-size. Is this possible? Yes, we can make it any size! Thank you for your comment. We are based in Mossel Bay and send our rings world wide. Our website serves as our catalog as it has all the up to date rings and pricing. Thank you for the comment. It takes about 2 weeks. Hi, how wide is the ring? Thank you for the comment. 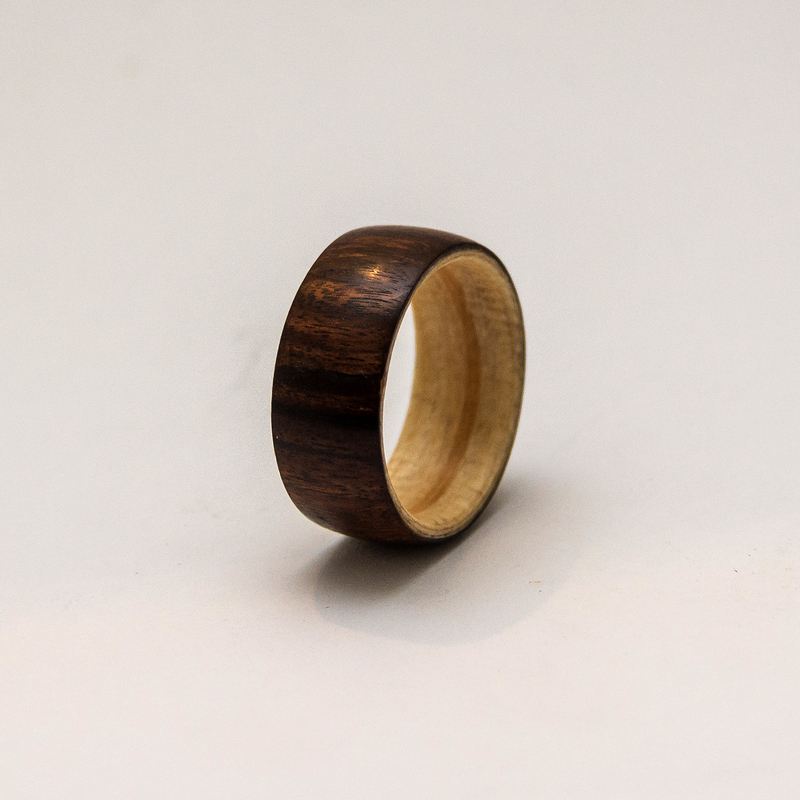 Our rings vary between 6mm – 10mm. How long would delivery take if i ordered today? Hi Wesley! I can then possibly send it out this Monday / Tuesday. If you order online, please note this to me. By when do you need it? Please inform if this ring could be ordered 16mm in total including a silver border on each side if that makes any sense. Hi I wanted to know if I could order a ring exactly like this for my fiance but is there a possibility of getting a phrase engraved on the inside and how do these rings do with getting wet? 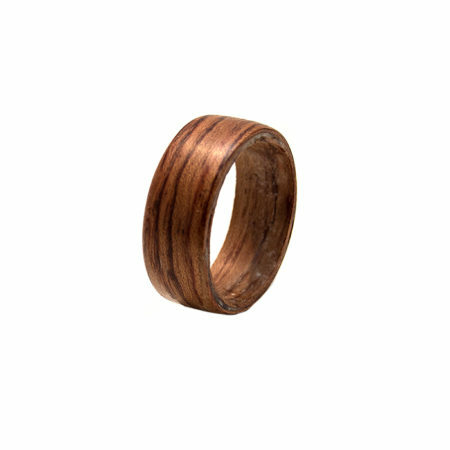 Sorry my fiance is an electrician so a ring like this is perfect as wood doesnt conduct electricity in case anything ever had to happen. And he loves wood. So this seems great. Just wanting to know how it does with getting wet and weather you could coat it in silicone or something to protect it? Hi Michelle, we can unfortunately only engrave on a metal sleeve and not the wooden sleeves. So if the ring had a metal inner we could do that. The wood is treated. 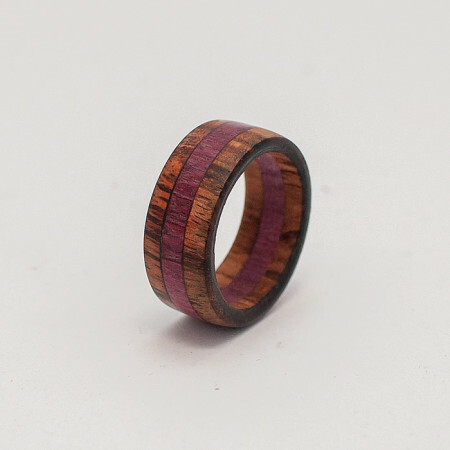 Adding resin to a full ring like this will make it quite thick and uncomfortable to wear. With wooden rings, its best not to submerge it under water. 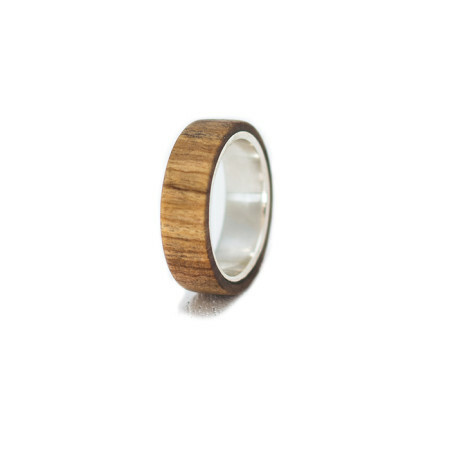 If you do, you should allow the ring to dry and rub some olive oil on it to feed the wood a bit. Hi, how do I select a size? When you Check out your purchase on the website there is a section where you fill in your ring size.